Wonderful Success Story-Unbelievable Before and After! 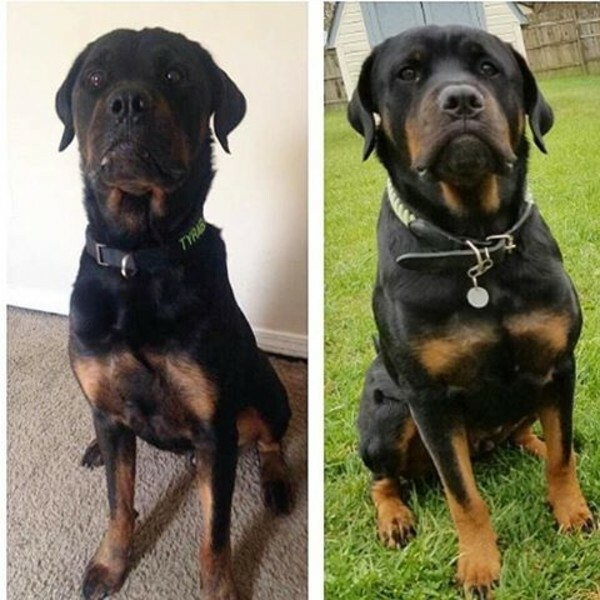 Dog trainer and dog mom, Devi Do, shared her Rottweiler, Tyrael’s, before and after photo on her Instagram and it went viral. People couldn’t believe how wonderful he looked in his after shot. Devi, has now shared with us her difficult journey to bring Tyrael to good health. 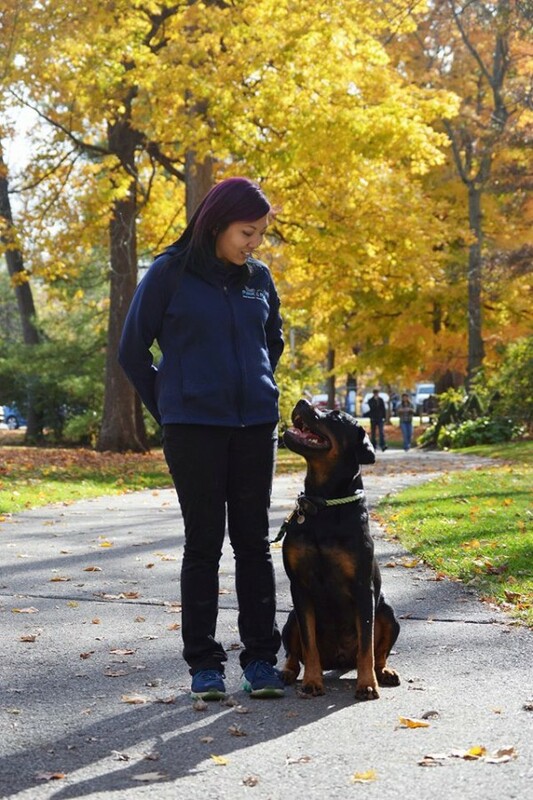 She lovingly tells of her frustrations and struggles with finding a food that would help her beloved pup. Read her story in her own words below! Amazing! Scroll Down to See A Wonderful and Amazing BEFORE & AFTER Photo! Since Tyrael was about 7 months old, I had problems with him not being able to properly digest his food and unable to maintain a healthy weight. His immune system was always so weak that he would get kennel cough at least twice a year, even if he wasn’t around other dogs. I had tried a wide array of high-quality kibbles in an attempt to find a diet that would help with his loose stools. Any level of stress or even just a different treat and I would be playing a game of poop-roulette, not knowing what kind of mess I would come home to. Vets would test his stool for parasites and I would hear the same instructions of giving him rice and boiled chicken, with a plethora of different meds to help him return to “normal”. It wasn’t until he was 3 years old that we finally got a diagnosis of Irritable Bowel Disease or IBD. The vet recommended we get him on a prescription diet, but the ingredients were reflective of a poor quality kibble and I didn’t see how that was going to help him get better. As a dog trainer, I know what an important part nutrition plays in a dogs’ behavior. Once he had a flare up so bad that he no longer had an appetite, I knew I had to try something different. I was paying so much money to my vet and I was barely managing his condition and he looked like he was wasting away. Tyrael was the largest pup in his litter, but with his IBD, he was outweighed by his brothers by almost 50 pounds! I stumbled across Dr. Harvey’s line of pet food when doing some research on online. I had fed another dog of mine a raw diet and she had done so well on it, but had only tried raw meaty bones with Tyrael. I didn’t feed Tyrael a raw diet because I just didn’t have the same kind of time that I had before to put together meals. Dr. Harvey’s seemed like a fantastic alternative to preparing my own raw diet and saving me the time and money of buying everything outside of proteins. Once I made the switch, loose stools were a thing of the past! His coarse, dull coat started to fill in and glistened in the light. Putting together his meals is just so easy now and I was able to figure out which proteins his system couldn’t tolerate by trying out different meats to add to his food. 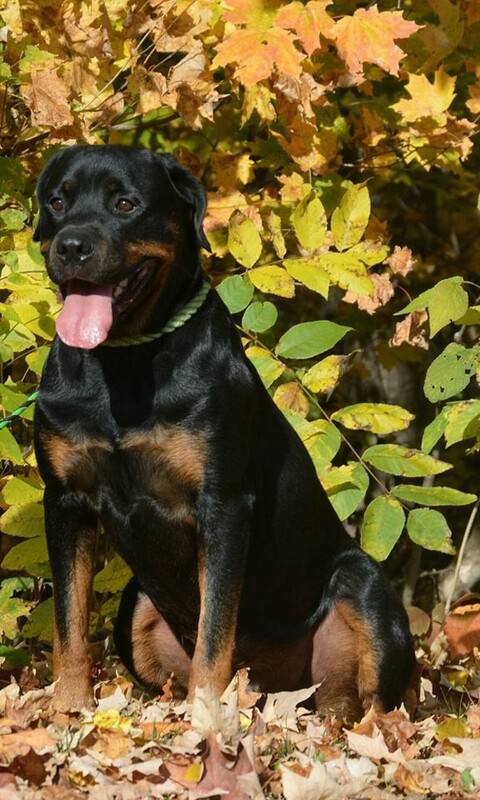 He quickly started to gain weight and his increase in health took away my worry that he would catch whatever any passing dog might be carrying. It’s amazing to see the difference in his energy levels and his ability to excel at sports. I branched out and tried out other freeze-dried pre-mixes, but I always kept coming back to Dr. Harvey’s since his coat is always the most plush when eating Canine Health. 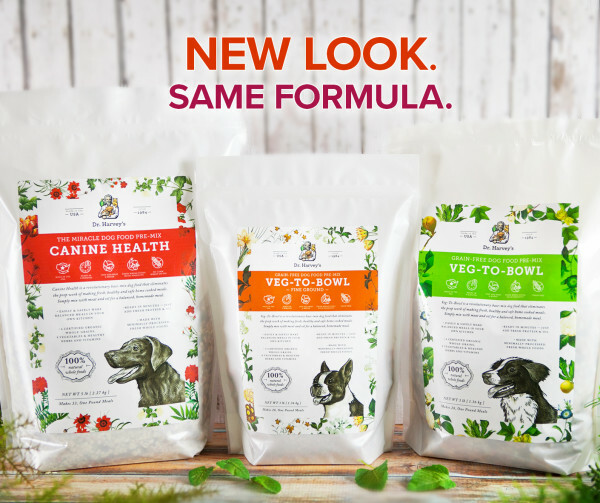 I enthusiastically recommend Dr. Harvey’s pet food to any pet parent who has tried everything else and can’t seem to find a food that their pet can thrive on, not just survive on. Thank you for all that you do for pets! I’m glad people were so excited to share Tyrael’s journey to health! The pictures I have attached were taken by a co-worker. Thanks to Liz Reichanadter for these wonderful photos!